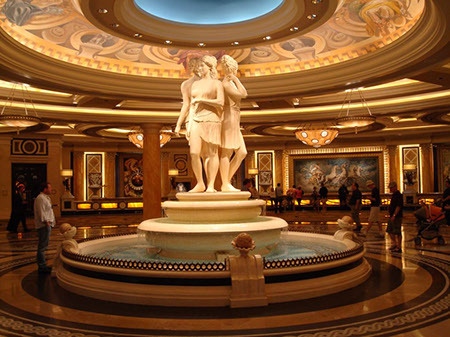 On a recent business trip to Las Vegas, I decided this time to stay at Caesars Palace … I wanted to catch a show, however not much was going on this Tuesday night. While checking out Vegas.com ticket site I saw; “Performing all 18 of her timeless No. 1 hits together for the first time, Mariah Carey brings her Vegas-tailored residency to The Colosseum for an extravagant limited-time engagement.” Even though I’m not a big fan of Carey’s, I decided to check it out since the show was at Caesars Palace. It was a very glitzy show. Carey performed all her hits in chronological order. At age 45 she can still it the high notes. 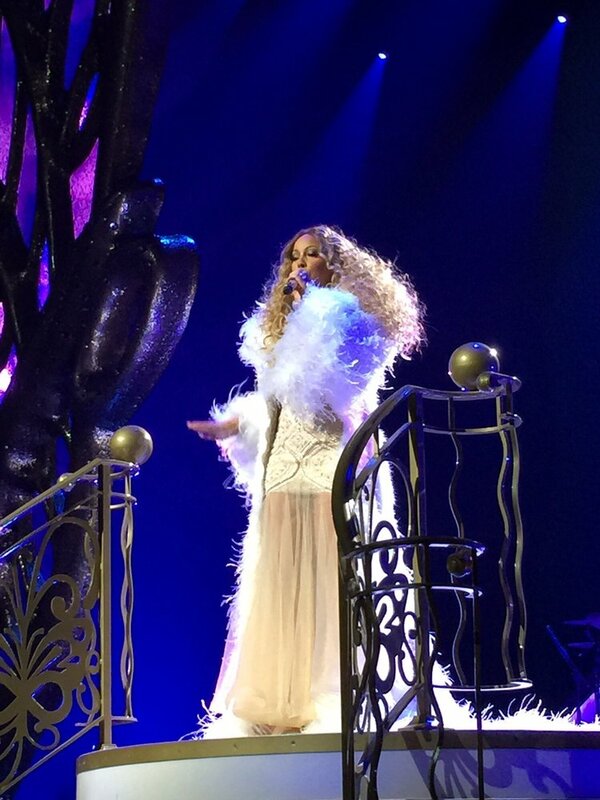 Speaking of high notes … the audience was screaming and shouting in excitement every time Mariah hit a high note. She knows how to connect with the crowd as she waltzed through the isles a couple of times during her performance. At one point of the show, she rides out on stage with a pink convertible, a yellow jet watercraft and a chaise lounge bed from where she picks one audience member to join her. Before performing a Vision of Love … Mariah had no problem getting a willing volunteer from the audience who was blindfolded … she then proceeded to use a tickly whip on the gentleman … this act does come with some real humor, so I won’t spoil it for you in case you plan on catching the show. One song that really got the crowd excited was The Jackson’s Five’s hit I’ll Be There … she does this with Michael Jackson singing in duet with her on video. You can feel it was very emotional and moving with the audience. For her encore she closed with her hit “Infinity”. Mariah Carey, indeed has one of the best pop voices in the business. She has sold more than 200 million albums and is still going strong. All in all, if you’re visiting Las Vegas and have a chance to catch Mariah Carey while she’s performing during her residency at Caesars Palace … I’d say the show is well worth the money!